Messier 78 (NGC 2068) is a beautiful blue reflection nebula in the constellation Orion. It is the brightest diffuse reflection nebula in a group of nebulae that includes NGC 2064, NGC 2067, and NGC 2071. There is something about the M78 reflection nebula in Orion that has captivated me since the first time I saw it. Reflection nebulae are probably my favorite type of deep-sky objects in the night sky, as they seem to perfectly depict the cold vastness of space. The image below shows Messier 78 with nearby NGC 2071 at the lower left. The nebula is lit by a stellar nursery of young stars that illuminate the area with scattered blue light. M78 is classified as a reflection nebula because the dust particles are reflecting starlight from the intensely hot, young stars beneath it. I photographed this reflection nebula over the course of several cold nights from a dark sky site. 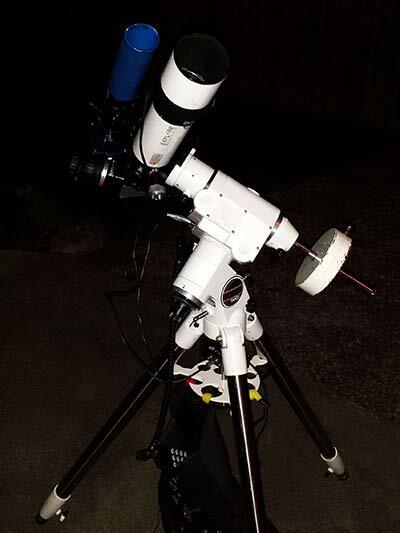 This was back when my Celestron CG-5 was fully functional, and providing consistent images night after night. 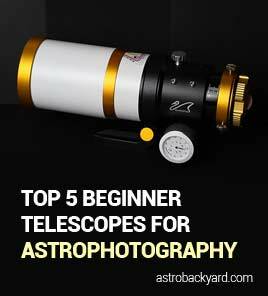 My old autoguiding system included an Orion mini 50mm guide scope and Meade DSI Pro II. My Canon EOS Rebel Xsi (450D) had not had the full-spectrum modification treatment yet, meaning this DSLR was completely stock. As always, I took the time to capture 15 dark frames to subtract noise from my final integration. This relatively small reflection nebula is easy to overlook because of it’s proximity to much larger, brighter and more noteworthy nebulous regions such as the Orion Nebula. M78 lies within the constellation Orion, north of Alnitak and the famous Horsehead Nebula. It will appear as a small hazy patch through a telescope, as long as you are viewing this nebula in a sky free of moonlight and light pollution. 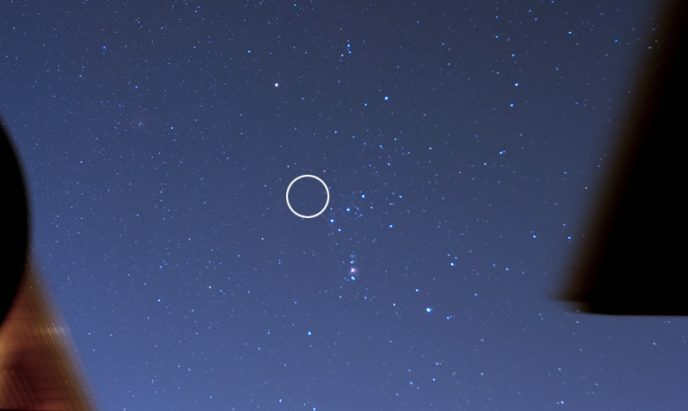 If you can find the Orion Nebula – head upwards to the 3 stars of Orion’s belt. 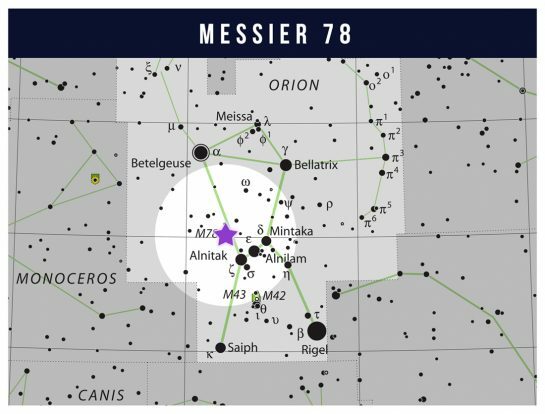 Then, travel northwest of the leftmost star until you reach Messier 78. The absolute most important factor in producing a pleasing image of this nebula is time! My early attempts at the target were sad smudges of light in a starry sky. The dusty details that block out starlight and the produce the beautiful blue glow from behind only emerged after about 2-3 hours of exposure time. 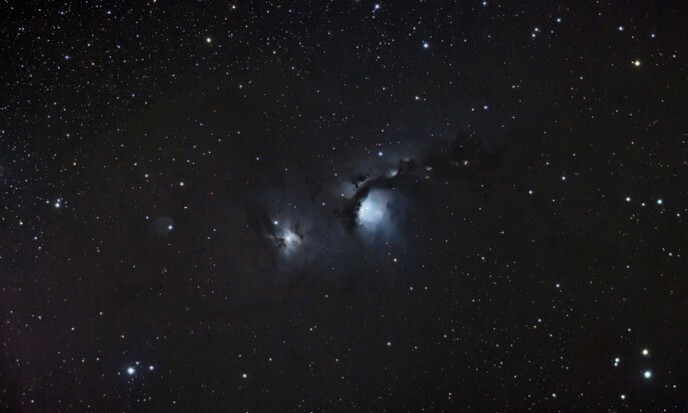 To photograph M78, I used a stock DSLR Camera (Canon EOS Rebel Xsi) with an IDAS LPS filter in front on the sensor. The wide field of view my ED80 telescope provides is a good match for this target. However, I did crop the image substantially from the original size out of the camera. If you are looking to photograph this reflection nebula from home in the city, I’d recommend waiting for a night with great seeing conditions and during the new moon phase. Also, a light pollution filter suitable for broad-spectrum targets like the Optolong L-Pro or IDAS LPS D1 will help. To stay up to date with my latest astrophotography adventures, please subscribe to my newsletter.